39 year old Anne Swaney, an ABC producer for abc7chicago.com in Chicago, was murdered and believed to be sexually assaulted while vacationing in Belize. Swaney had gone missing on Thursday morning after doing yoga near the Mopan River nearby the resort. Her body was found Friday morning in a river near the horse farm in western Belize where she was staying, she was resorted to be wearing only a bra. According to accounts, she had bruises on her neck and lacerations on her head suggesting she fought back and she had been strangled. This further points out that you just can’t take your safety for granted on Caribbean Island paradises. The police best be questioning everyone involved with the resort, not like Aruba. Belize is one of those hot spots that everyone wants to go to, maybe we should rethink that. An ABC producer was killed while vacationing in Belize this week. Executive producer of online operations, Anne Swaney, 39, arrived last Saturday to Nabatunich Resort, Benque Viejo, according to ABC. Swaney was allegedly sexually assaulted before being killed after doing yoga on Thursday morning near the Mopan River nearby the resort. A tour guide found Sawney’s yoga mat another items near the river but he didn’t see her and alerted the authorities. Dogs tracked her scent on Thursday night but she was not found until the next morning. Benque Viejo Police Superintendent Daniel Arzu said that Swaney’s injured corpse was found floating on the river. She was wearing just a bra. Chicago journalist Anne Swaney killed on vacation in Belize. Swaney traveled alone to Nabitunich, a farm in the Cayo District of western Belize, the family member said. She had been there before and was friendly with the owner of the farm, which offers tours on horseback. She planned to participate in a group horseback riding expedition on Thursday, Benque Viejo Police Superintendent Daniel Arzu told WLS. When organizers came up short one horse, she volunteered to stay behind and went to do her yoga practice at the Mopan River. Her family was not surprised that Swaney gave up her tour for someone else. “Anne would do anything for anyone. She was always the first to volunteer to take on a tough job. She just did the right thing in situations,” the family member told CNN. When the tour returned they found her personal effects on the deck, Arzu said. “This looked suspicious, so they went to her cabin and she wasn’t there. They told the owner who called the police. The police came with their canine unit and the scent led them along the river but due to the darkness the search was called off for the night before finding her,” Arzu said. Friday morning, Police found her body face down in the river with bruises on her neck and lacerations on her head, Arzu said. UPDATE I: A local reporter in Belize said Anne’s death is quite an embarrassment to the nation. “Because it is on the fringes of our border with our neighbor in Guatemala it also provides another element that the police have to investigate. Where if the perpetrator came across the border, they will have a difficult time they will have to liaise with their counterparts in Guatemala,” said Daniel Ortiz, NEWSBELIZE. There is not a nationwide tourist advisory in effect for Belize. However, tourists are told to exercise a high degree of caution due to an increasing rate of violent crime throughout the country. In that specific “Cayo District,” armed robberies occasionally occur near the western border with Guatemala, especially near Caracol to the south. Police say criminal activity, including armed robbery, mugging and sexual assault, is a significant problem throughout Belize. Robberies and assaults have been reported in resort areas. There has been a noted increase in violent crime targeting tourists since the end of 2013. Criminals often operate in groups and target persons traveling alone. Cases of sexual assault against female travelers have also be been reported in that district. Drug-related crimes are also on the uptick. The transit of drugs, particularly cocaine and precursor chemicals for methamphetamine, has risen. 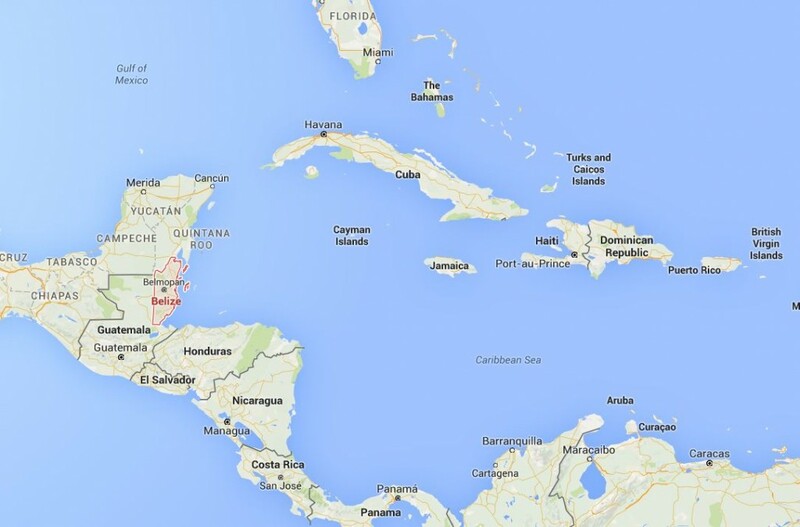 Belize was included on the FY12, 13 and 14 U.S. Majors List of illegal narcotic producing and/or transit countries. 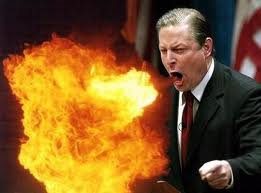 In January 2014, two American citizens were kidnapped at gunpoint from a resort area near the western border with Guatemala. A Canadian filmmaker was killed in January 2015 to the south of the district. In May 2015, two American men were murdered in a suspected drug-related armed robbery. An 18-year old suspect was charged. 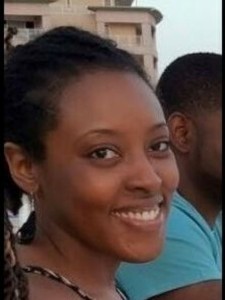 29 year old Amanda Waller has been missing since Thursday, June 25, 2015 while she was snorkeling with her husband and friends along Cas Abou Beach in the Caribbean island of Curacao. When the snorkeling group returned to shore about 20 minutes later, they realized that Waller was missing. Days of searching by the Coast Guard and volunteer divers have turned up no clues. There have been searches in the water and on the land as it is not known whether Amanda Waller from Katy, Texas made it to shore or not. Anthony Waller told KHOU that his sister-in-law, Amanda Waller, 29, was snorkeling with her husband and friends along Cas Abou Beach around 3 p.m. Thursday, June 25, when she went missing. Matt Myers, who was part of that snorkeling group, told KHOU that after snorkeling and taking pictures in the water, one of the women became tired and began swimming to shore. He says a couple minutes later, Amanda Waller began swimming after her. However, when the group returned to shore about 20 minutes later, they realized that Waller was missing. After an unsuccessful search in the water, Myers says they called the Coast Guard, who arrived within 30 minutes to begin the search. VIDEO below of snorkeling not related to this case but to provide context of what it looks like. The water appears to be calm and extremely clear. It is hard to imagine one could not find a person in such water. A missing-person alert on the GoFundMe page urges people to call police or the U.S. Embassy if they see Waller. 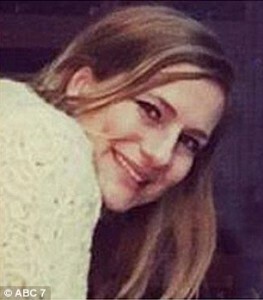 UPDATE I: Husband of Katy woman missing while snorkeling says wife is dead. Part 1: It Has Been 10 Years Since Natalee Holloway Went Missing, No Body … No Crime … And No One Tried, But We Know Damn Well Who Is Responsible, Don’t We Joran Van der Sloot? May 30, 2005 … Alabama teen Natalee Holloway has gone missing in Aruba while on a class trip with her fellow Mountain Brook classmates to celebrate their graduation from high school, to begin their college careers and the rest of their lives. Or so they all thought. All of these young teens with their whole lives ahead of them, just celebrating one more time together before they went their separate ways in what was supposed to be a safe vacation surrounded by sand, sun and the sea. Like so many classes before them, a visit to Aruba was supposed to be the one last high school fling. Sadly, for Natalee Holloway it would be the one last thing she ever did in life, never to attend college, never to have the rest of her life. Enter Joran Van der Sloot, Deepak Kalpoe and Satish Kalpoe and everyone’s lives would be changed forever and not for the better. The first post Scared Monkeys ever wrote on this missing persons case was entitled, ‘This Can’t Be Good For Tourism, Where’s Natalee Holloway’. At first glance, one night think it was rather crass and insensitive. But having visited Aruba since the 1970′s, having friends on the small Caribbean Island, even having dated a beautiful Aruba girl in my teens, and having lived and worked on Aruba, I pretty much knew what the prime concern would be for “One Happy Island” and that was to save its tourism industry at all cost. Even if it meant trying to push the dirt under the rug and hide things in the closet. The cover-up, collusion, corruption and cronyism would only be made worse in the case of missing Natalee Holloway when the individual last seen with the beautiful blond Alabama teen was Joran Van der Sloot, a boy of Dutch privilege who’s father was a judge in waiting with so many connections legally, politically and with law enforcement that all signs pointed toward the Holloway, Twitty and Reynold’s family being given the run around from the very beginning. I say this prior to ever having researched the case in depth or having talked to or met any of the family members. From experience, I knew the family was in for a hell of a time from past experiences on Aruba where the most simple of things are made into some of the most exasperating efforts in futility. I knew that Dave Holloway and Beth Twitty were in for a hell of a roller-coaster experience. 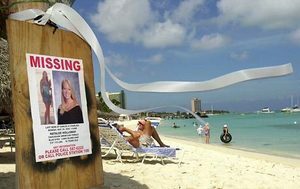 No one will ever convince me otherwise that the disappearance of Natalee Holloway and the subsequent search and investigation in Aruba was obstructed on two levels, one from the Van der Sloot family and Paulus Van der Sloot with his connections to prevent his son from going to prison and two, on a police, prosecution and government level to attempt to sweep this under the sand and save their economy that depended upon American tourism. 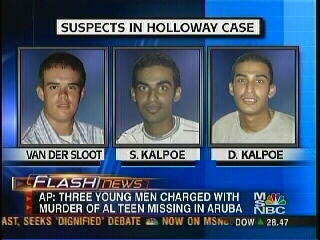 18 year old Natalee Holloway went missing on Aruba and was last seen leaving an Aruba bar, Carlos N’ Charlies, with three boys, Joran Van der Sloot, Deepak Kalpoe and Satish Kalpoe. The news of Natalee’s disappearance was not made public to the adults in attendance with the teens until the following day when it was time to head off for the airport to leave. Natalee was missing. From the outset, something was very wrong in how this case was being investigated. 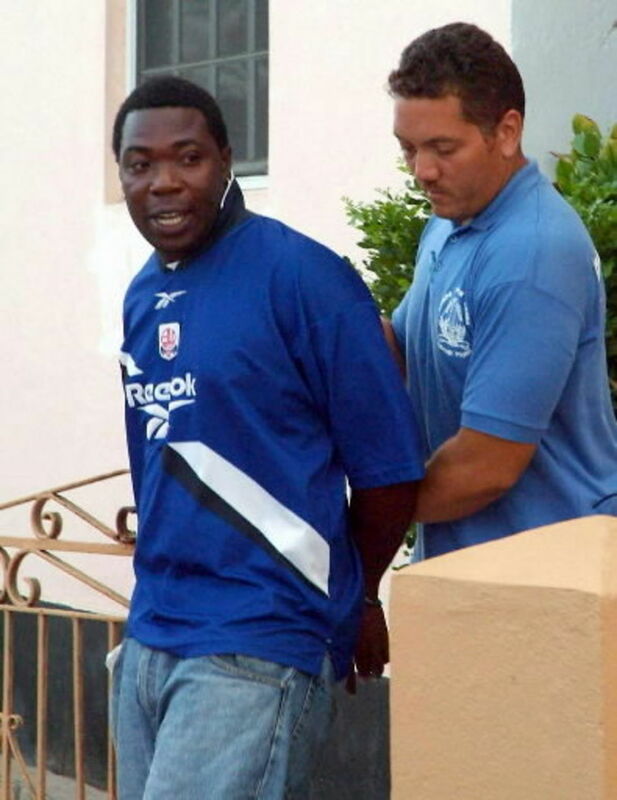 The Aruba police had the mindset that Natalee was just off having fun and she would return because this happens all the time. REALLY? That might have been some what okay reasoning for Aruba LE had any one of the three people Natalee was last with were missing too. However, they were not, they were already lying. What changed this case, brought it to the forefront and escalated it to new heights that we have never seen before in a missing persons case was that Aruba and the powers that be never imagines that the Holloway/Twitty family would have arrived so quickly on Aruba and hit the ground running trying to find Natalee. The Holloway/Twitty crew were doing the police and detective work that the Aruba LE should have already had done. Like I said, from the outset something smelled to the high heavens, and it was not just inept and incompetent police work, some was so bad it was obvious it had to be intentional. The lies begin from the three amigos, Joran, Deepak and Satish … From the beginning of dealing with the three individuals who were last seen with Natalee, the lies were flowing. 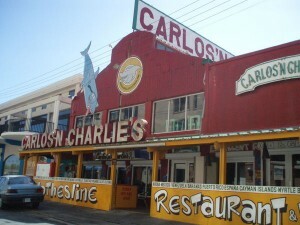 They stated that they dropped her off at her hotel, the Holiday Inn after having left Carlos n’ Charlies. How can the last three people ever to see Natalee not be considered suspects? especially when video surveillance tape showed that the three had never done any such thing. Wouldn’t that or shouldn’t that have been the first thing that Aruba LE should have checked? Instead, the family had to do the investigative work. Holloway was last seen by friends getting into a vehicle and leaving the Carlos and Charlie’s nightclub in the capital of Oranjestad before dawn Monday. Police questioned and released three Aruban men who said they dropped Holloway off early Monday at the Holiday Inn, where she had been staying about 3 miles from the capital of Oranjestad, said police assistant inspector Jules Sambo. The three were not suspects, he said. MORE LIES … BLAME IT ON THE BLACK GUYS. On June 5th, 2005 two black men were arrested in connection with the disappearance of Natalee Holloway. Why, because they were black. How racist is that? The former security guards, Mickey John, 30, and Abraham Jones, worked for the vacant Allegro hotel, two blocks from the Holiday Inn where Holloway stayed. How does anyone arrest two black men for a crime when the last people seen with a missing person walk free? Thus, we see from the outset the mindset in Aruba to blame this on anyone, two hapless black men, just because Aruba can. And they might have gotten away with it had Beth Holloway not come to their rescue and state, they were innocent. A judge ruled Wednesday there was sufficient cause to keep holding two former hotel security guards in connection with the disappearance of an Alabama high school honors student. The decision means authorities may hold Nick John, 30, and Abraham Jones, 28, for nearly four months while prosecutors investigate possible murder and kidnapping charges in the disappearance of 18-year-old Natalee Holloway, defense attorneys said. Neither man has been formally charged. The two men were arrested Sunday on suspicion of first- and second-degree murder and capital kidnapping, the latter of which is invoked when a kidnapping victim is killed, according to court-appointed defense attorneys Noraina Pietersz and Chris Lejuez. Later in the case, I had the opportunity to meet Mickey John in the States through the aid of FOM and talk to him as to what happened, his involvement, if any, and his opinions on the case. After talking to him for 5 minutes it became obvious he had nothing to do with Natalee’s disappearance and what just an easy patsy to blame it on. Was Micky John a choir boy, of course not, but he was hardly a murderer. John told me that he would never make any type of statement, especially in Aruba fro fear he would be arrested again for no reason. What had always bothered me to this day was how did the Aruba LE, prosecution and judiciary allow the last three people ever to be seen with Natalee Holloway go from persons of interest and prime suspects to witnesses? From 6/8/05, Attorney general spokeswoman Vivian Van Der Biezan also told a news conference that three “persons of interest” who were questioned and released last week were considered “witnesses,” not suspects. HUH? They dropped the dime on Micky John and Abraham Jones and the Aruba legal brain-trust fell for it hook, line and sinker. Of course the fact that Joran Van der Sloot’s father, Paulus, was a lawyer and a judge in waiting with his many connections had nothing to do with this attempted cover up and frame job. 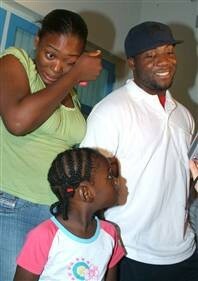 It would not be until June 13, 2005 that Abraham Jones and Mickey John was released from jail. This announcement was telling on two fronts, one, justice finally prevailed in that these two black security guards were finally let out of jail as they had no involvement in the disappearance of Natalee Holloway and the other would be something that would become a common occurrence through out the investigation in Aruba. The second interest fact was that Scared Monkeys broke the news of the release of the two security guards before the AP. Needless to say that prompted many news outlets to contact us and ask how that was possible. This became one of the events in the case that prompted the news outlets to track SM, not the other way around. That’s what happens when you have people on the ground and know others with connections that supplied info and data on a case that was so fluid. On June 6th, volunteers in Aruba searched for missing Natalee Holloway. About 700 volunteers joined police, soldiers and FBI agents on Monday, combing scrubland and beaches on Aruba’s southeastern tip in an unprecedented search for an Alabama teenager who vanished a week ago on a trip to the Dutch Caribbean island. The Aruba government gave their civil servant employees the day off to help search for Natalee. However, only about 18% of government employees showed to search on what was the biggest story to hit Aruba since their independence from Holland. Also, who did not search … Joran Van der Sloot, Deepak Kalpoe or Satish Kalpoe. 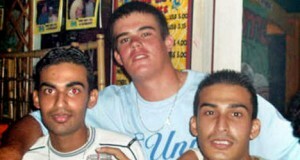 It would not be until June 8, 2005 that the three boys, Joran Van der Sloot, Deepak Kalpoe and Satish Kalpoe would be arrested by Aruba authorities in connection with the disappearance of Natalee Holloway. However, Natalee went missing on May 30, all this time for these three to get their stories synched together and to be coached by Joran’s father, Paulus Van der Sloot. Eight days go by and the individuals who were last seen with a missing person were allowed to sanitize, erase, get rid of and clean up all loose ends with the help of their master white-washer, Paulus. Aruban police arrested three more suspects in the case of the missing American honors student Thursday, the attorney general said. Attorney General Caren Janssen said police arrested three men that police had previously questioned and released in the disappearance of 18-year-old Natalee Holloway. Authorities have described the three as students – two Surinamese and a native of the Netherlands – who told police they dropped off Holloway at her hotel around 2 a.m. on May 30. Hotel employees, however, say that security cameras did not record her return.